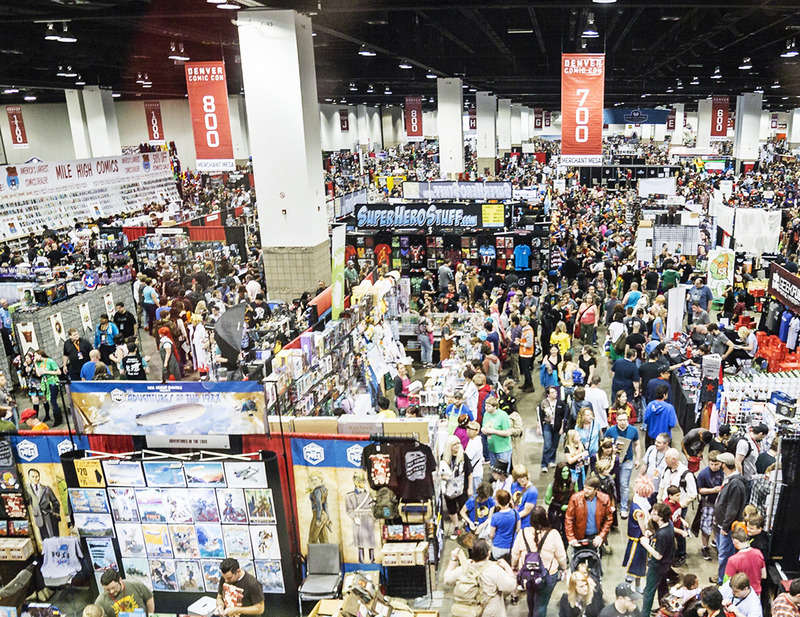 Denver’s annual Denver Comic Con was held over Father’s Day weekend. This is Denver’s biggest pop-culture event. It’s a three-day event filled with celebrities from all sorts of pop culture television, movies, comic books and more. There are also many impressive cosplays to enjoy and lots of great informative and interactive panels. The USS Tiburon was once again on hand with a new and improved, larger display of Star Trek items, props and memorabilia. New for this year was our three-pad transporter. The crew spent the weekend meeting and greeting guests as they explored Denver Comic Con, offering tales from our experiences with Star Trek and fandom, information and friendship to all who came to our booth. The crew conversed with attendees and offered to take pictures for them while they posed in both the transporter and our Borg Regeneration Chamber. We also held a couple of Star Trek makeup demonstrations showing interested con-goers how to transform themselves from a plain human to a Ferengi or Andorian. This year we held a wildly popular Adopt a Tribble fundraiser with all proceeds going to Denver Comic Con’s Pop Culture Classroom. These Tribbles were all handmade, and members of the Tiburon donated the materials and time needed to create them. Upon adopting a Tribble, new Tribble parents also received a Tribble adoption certificate where you could name your Tribble as well as a special Tribble Care booklet, to help you learn how to take care of your new family member. Over the course of the weekend, we quickly sold 90 Tribbles and we were able to donate $450.00 to the charity. Over the full and eventful weekend, we welcomed many new members to our group, made lots of new friends and contacts, and made many attendees of the 2018 Denver Comic Con smile. All that being said, I would say that the 2018 Denver Comic Con was a complete mission success.